March is a fun time of year. The days get longer, the weather gets warmer and the real estate market is picking up momentum. New festivities are happening all around us. From flower fields, the Easter Bunny and one of my personal favorites…St. Patrick’s Day! Everyone is Irish this ONE day of the year!! Are you looking for something different to do this year? Check out these local events. • Legend has it, St. Patrick was not Irish at all. • According to statistics, billions of pounds of Corned beef and cabbage are produced yearly for this day. • Pubs open early in the United States to serve green beer, however, the pubs in the “old county” were closed on St. Patrick’s Day. 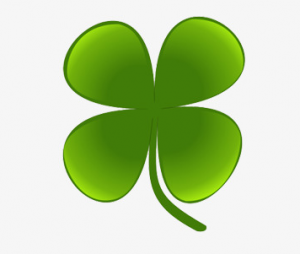 The Parsons Real Estate Team knows that good client are like a four leaf clover! Do you know anyone looking to buy or sell?